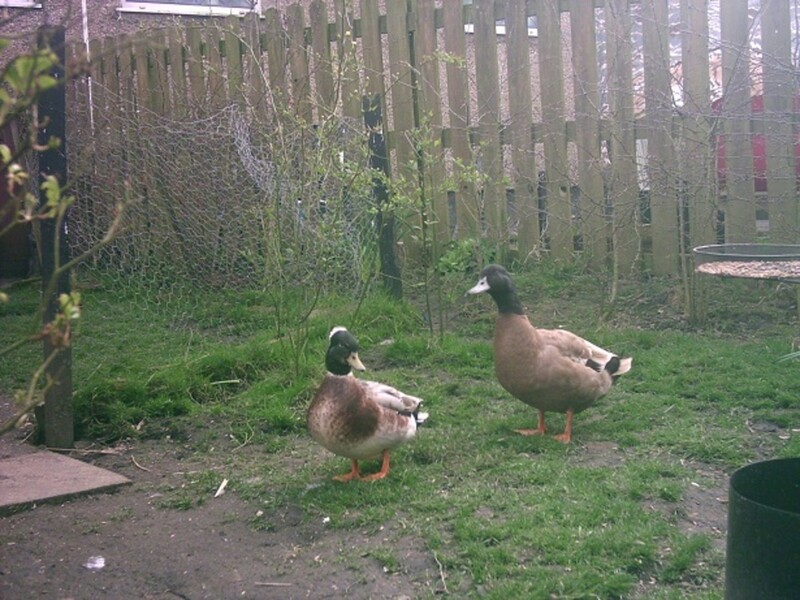 It is quite feasible to keep ducks as pets or to have them supply eggs or meat, even in a small garden. The key is the number you have in the space available. Too many, and your garden will become a quagmire. You should also select a breed which is appropriate for the space you have, weigh up the pros and cons of having ducks in your garden, feel confident that you can cater for their needs, and then prepare the area before you get them. First, consider what you want your duck's main purpose to be. For eggs and companions. 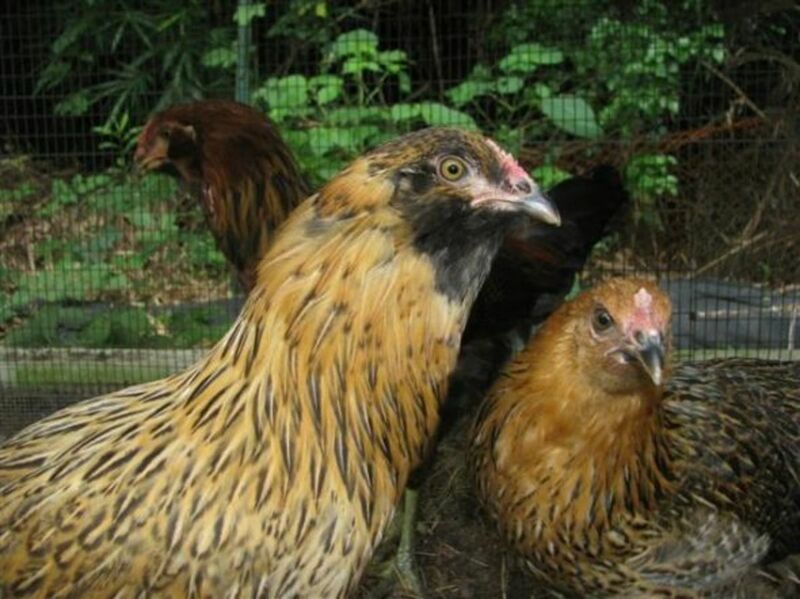 If you want them to produce eggs regularly and to be tame and confiding companions, you are best off selecting one of the domestic breeds or species. 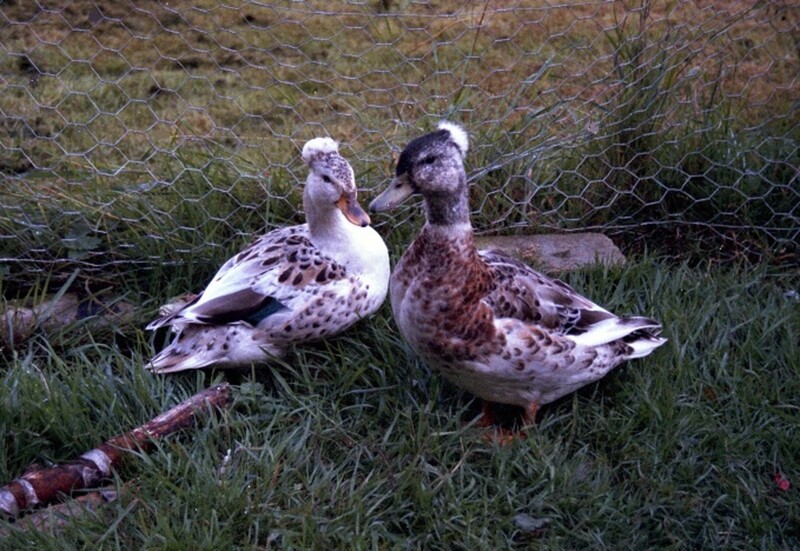 Most domestic ducks originally descend from wild mallards (Anas p. platyrhynchos). The exception is the Muscovy duck (Cairina moschata), which is a different species altogether. For decorative ducks. 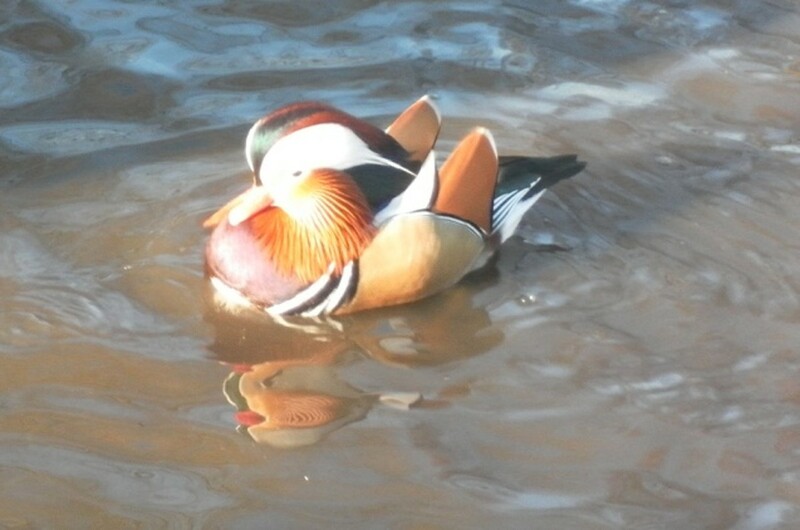 However if you want them more as a decorative feature in your garden, you could select one of the wildfowl species which are captive bred and available for sale to the public. Popular examples are the Mandarin duck (Aix galericulata) and the red crested pochard (Netta rufina). From the pictures above, you can see why these wildfowl species are literally an attractive option. You can of course eat the eggs that these produce, but they lay far fewer than a domestic breed. 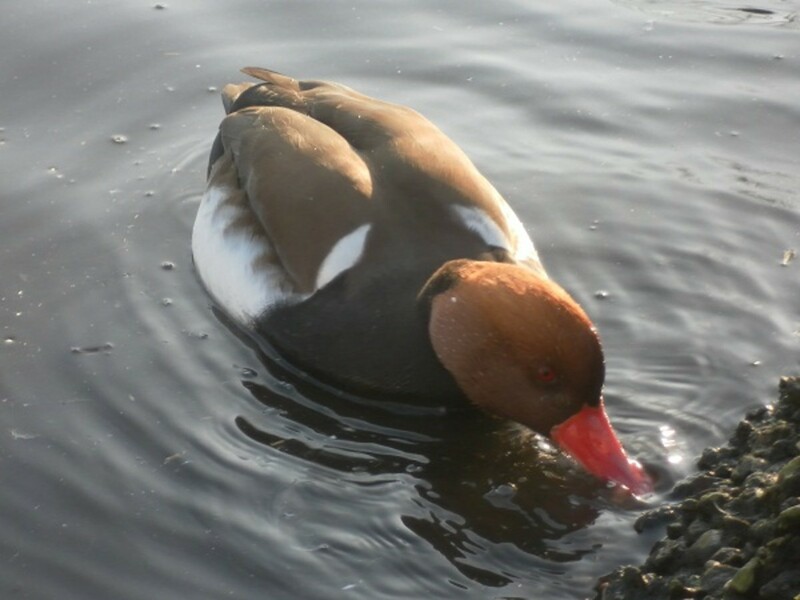 If you opt for the wildfowl option you will need to research each species carefully because their requirements are quite varied. The rest of this article will concentrate on the care of domesticated breeds related to the mallard. The Best Breed . . . There is a good range to choose from. A smaller lighter breed is best in a small garden, because they will put less wear and tear on the grassy areas as they walk around. Although we think of them as water birds, many domestic ducks enjoy spending a lot of time wandering about the garden. 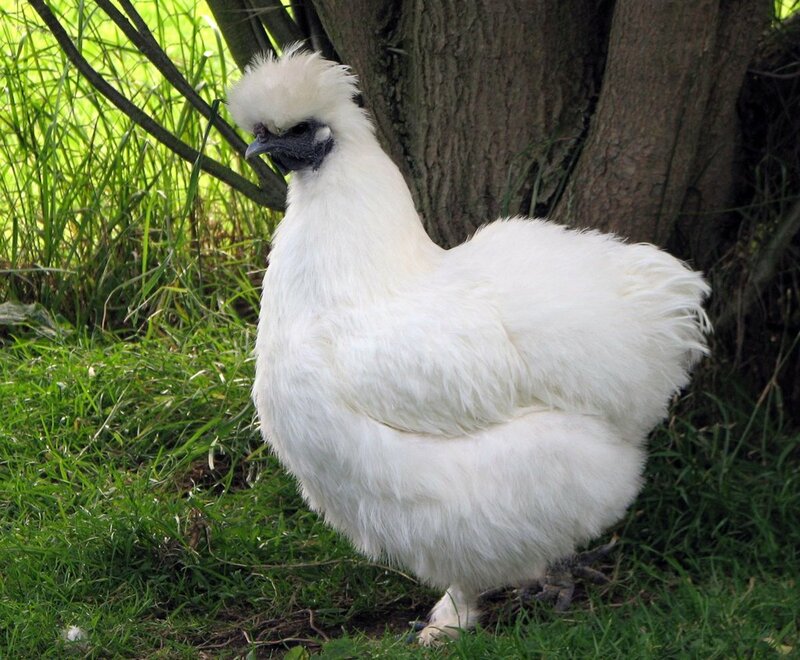 My personal favourites are the miniature silver appleyard and the silver appleyard bantam, which are similar breeds weighing around 3lbs each. If you are worried about your neighbours' reactions to quacking, the best kind to have are not a breed, but are in fact drakes — i.e. the males. It is the female duck who produces the loud "Quack quack quack!" which we are all familiar with. The males produce a muted quack as though they were talking quietly to themselves. In the absence of females a group of males will get along very nicely together. I kept a khaki campbell drake and a miniature silver appleyard drake together and they were very contented in each other's company. 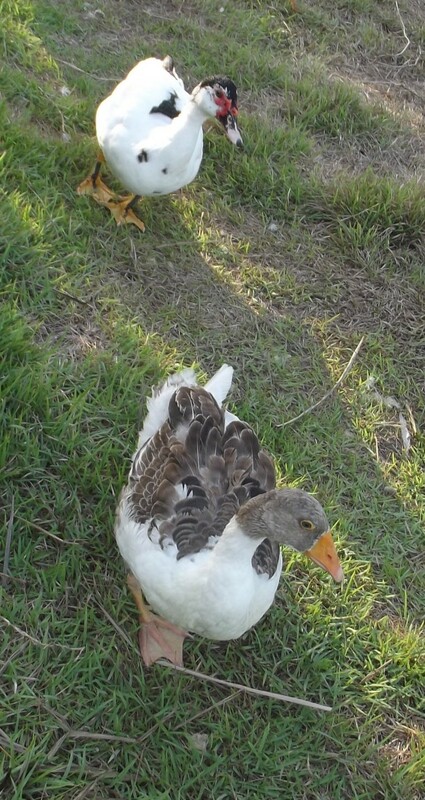 The breed to avoid is perhaps the Call duck, who were originally bred to "call" wild ducks in towards the hunters. Hence, they have a loud voice for their size. 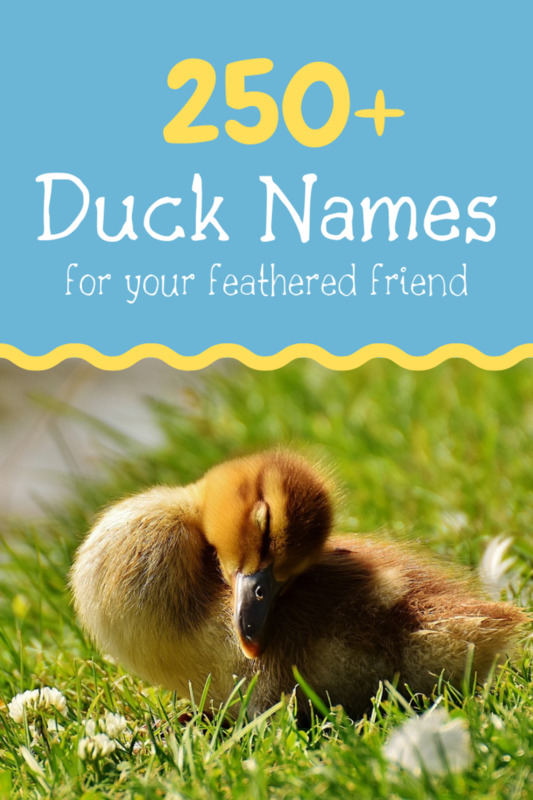 The khaki campbell tops the list here, especially if you purchase them from a commercial strain, which can produce over 300 eggs per year (The Domestic Duck, Ashton 2008), although this reduces with age. The abacot ranger and Welsh harlequin ducks are not far behind producing up to 300 eggs per year. The Aylesbury would be the traditional choice here. Commercial duck farmers use a faster growing hybrid and you may be able to find a supplier who will let you purchase a small number of these. Indian Runner ducks, which should lay around 160 eggs per year, but are most prized for their comical upright stance which originally meant that they could be walked to market more easily. Rouen—a very heavy breed at around 11lbs. This is a comfortable and impressive looking duck, but they are not prolific egg layers. Cayuga . The striking thing about the cayuga is that they lay black eggs, which is certainly something to surprise your friends with at the breakfast table! Colour varies from egg to egg, with early ones tending to be blackest. Ducks really like company so it is best to have two rather than one on its own. My garden is on clay soil and I live in Lancashire, which is very rainy. My garden is 16ft x 20ft i.e. 320 square feet (this is only 0.007 of an acre). I kept a miniature silver appleyard and a khaki campbell. The first winter, I only let them in half of the garden, but the grass ended up a mud bath with all their paddling about and dabbling their beaks through it. After that, I allowed them the whole garden all year and you can see from the picture taken in spring that the grass had held up quite well over the winter. If your garden is the same size as mine or smaller I would recommend starting with 2 ducks and seeing how the land holds up over the first winter to see if more ducks would be realistic. Another thing to bear in mind is that when they molt, you end up with feathers all over the garden. This either looks tatty or charming, depending on your point of view! If they are allowed to wander around your garden, ducks will find some of their own food. They enjoy eating slugs for example, which is a big plus! I found that even if they find a slug that is too big to manage, they'll still try their best and often end up drowning it in their pond. My garden had far fewer slugs in it when I kept ducks. Anecdotally khaki campbells are renowned slug eaters. You should feed a mixture of a pelleted diet—either a "layer's mash" or "maintenance" mash, and wheat grains or mixed corn. These products are usually marketed for chickens, but fine for ducks too. 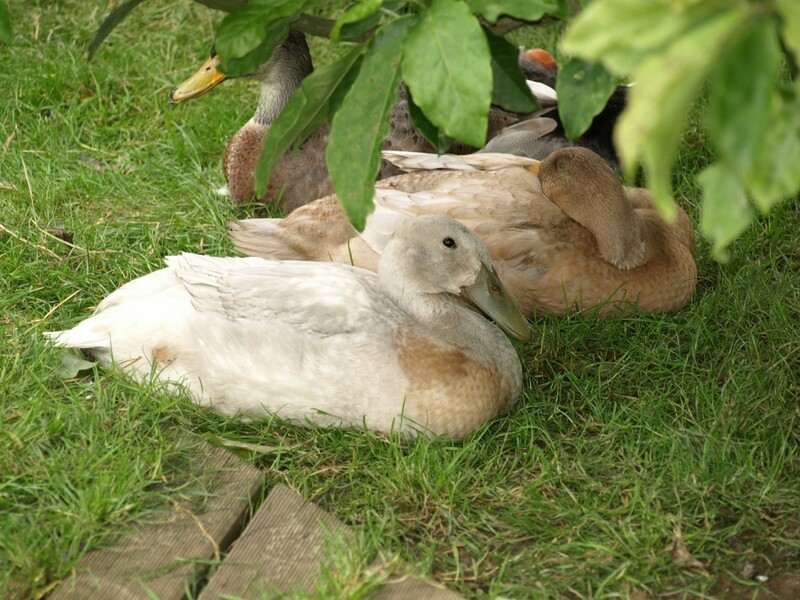 Ducks love dabbling for food and will enjoy eating grain from a low trough or bucket of water. They'll also need grit, which they use to grind their food up. A mixed poultry grit will also contain something like oyster shell to provide extra calcium for egg-laying ducks. You can buy grit and shell separately too. I found that my male ducks found enough grit for digestive purposes from being free range in my garden, but laying ducks and those confined to a smaller pen will benefit from having a supply of mixed grit. Have a large external filter on your pond. Ideally it needs to be more powerful than one for an equivalent sized fish pond, since ducks are a lot messier than fish. This will reduce how often you clean your pond. You will need to clean the filter though. Have a concrete pond installed with a plug and drain at the bottom. Have a small pond which you can either tip out or bucket the water out of. It will help if this is sited near a drain so you have somewhere for the water to go. This option worked for me, though it is labour intensive. However I found that a 4ft x 2ft rigid liner fish pond could be mostly bucketed out, then lifted and tipped, thoroughly scrubbed out, and replaced and refilled in about 15 minutes. Pond cleaning. 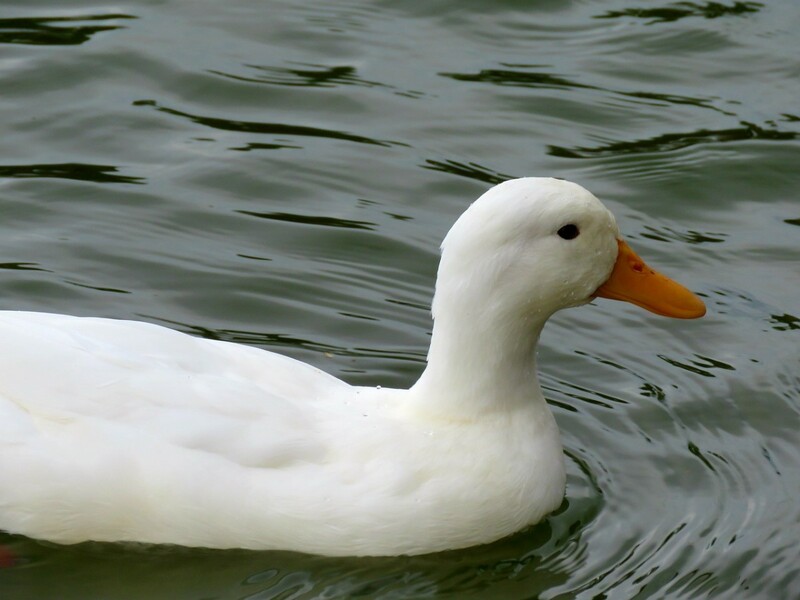 Be wary of using disinfectants and cleaning product on your duck's pond, if they're not rinsed off properly, they could affect the waterproofing of their feathers - this means your duck could drown. I always scrubbed my pond with plain hot water. My ducks were always excited when their pond was being cleaned out because they absolutely loved getting in to splash about in clean water. Drinking water. 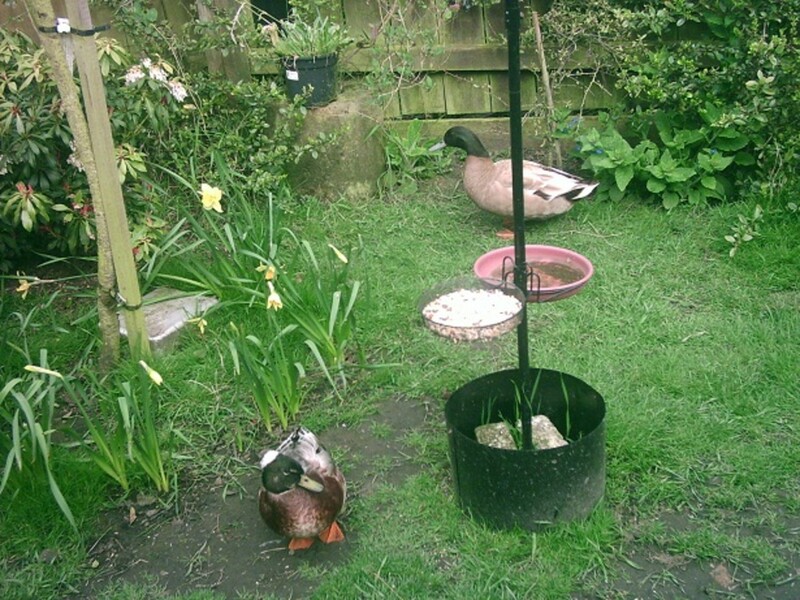 Even if they have a pond, give your ducks a fresh dish or bucket of water every day. They will be sure to make use of it. Tip: Gravel. Surround your pond with smooth gravel or paving to keep the pond cleaner—it stops them from dabbling mud in it and helps cleans their feet off before they get in. A fox-proof wooden hut at 2ft x 2ft x 2ft would suit two small or medium ducks overnight. It needs to be well ventilated. 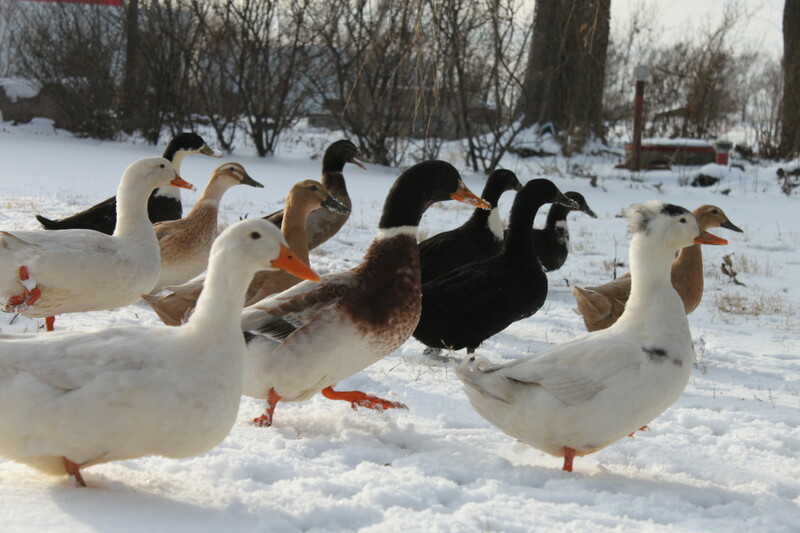 Duck feathers are superb insulation, and they can overheat in a stuffy environment. Huts designed for chicken don't always convert well as they have perches and quite small nest boxes for egg laying. You could either make your own or buy a small shed. Most lighter breeds can fly a bit, certainly enough to get over an enclosure fence if the mood takes them. 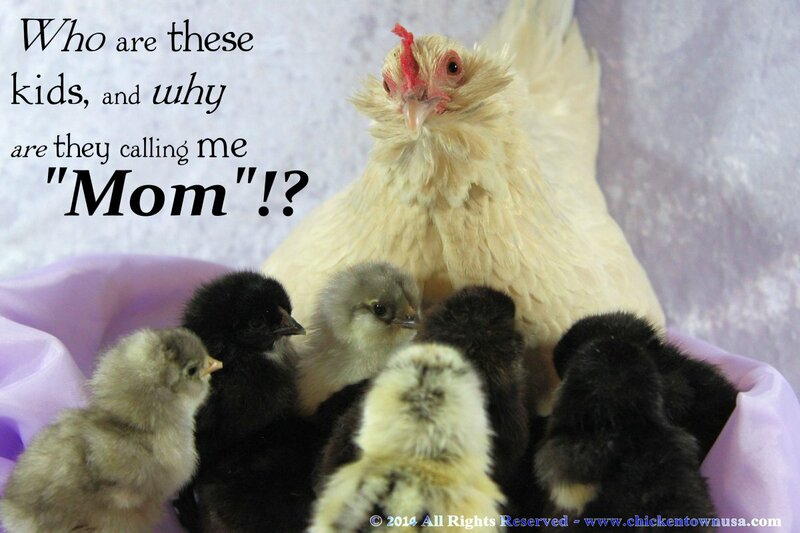 You can prevent this by having a mesh roof to the enclosure or clipping the primary wing feathers on one wing. You have to do this annually, because they grow new flight feathers after molting. 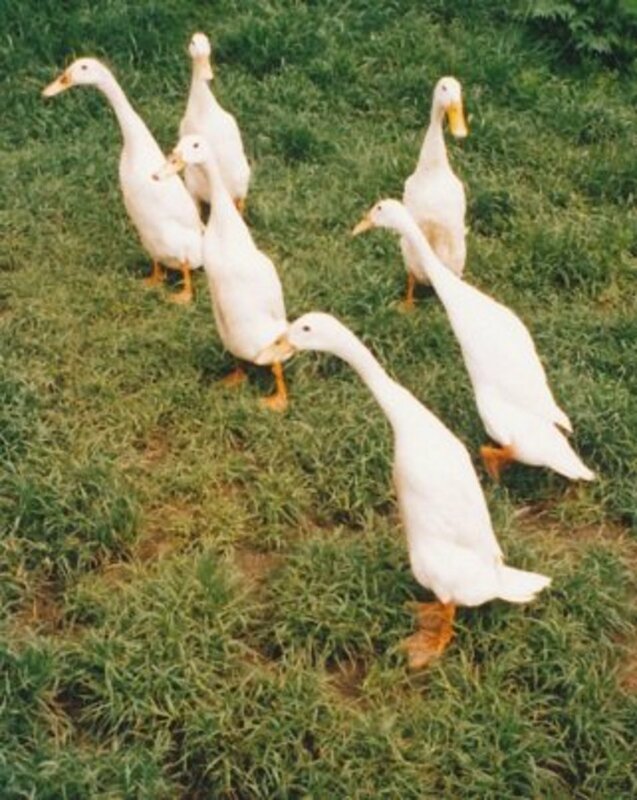 You don't need to clip the wings of the heavy originally meat producing breeds or of Indian runner ducks. Extend one wing. The primary feathers are the long ones at the end of the wing away from the duck's body, above and over the top part of them is a row of shorter feathers known as coverts. 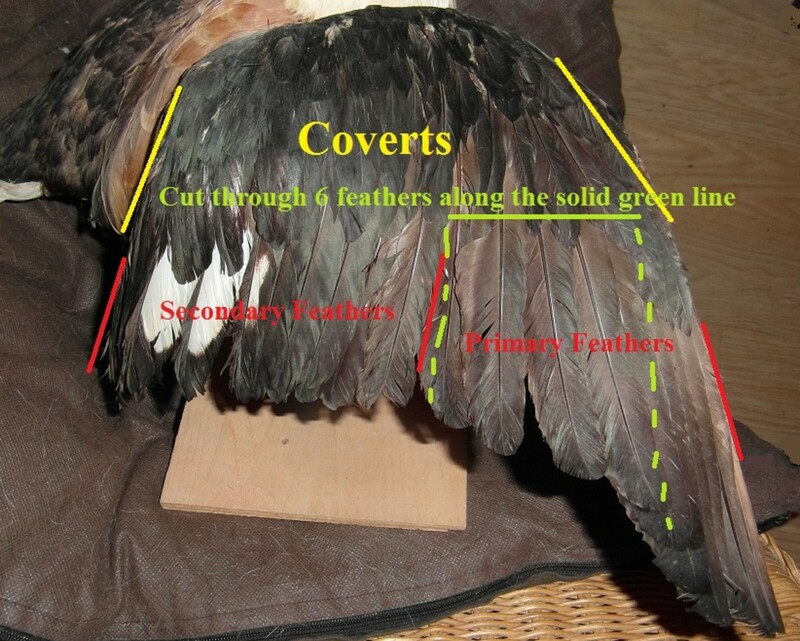 Cut the all but the last three or four primary feathers in line with the tips of the coverts. Remember, you should only do one wing as it's harder to try to fly with one trimmed than two. Don't feel too anxious about doing this perfectly. The four at the end are traditionally left untrimmed to give a better "finished" look, so it doesn't really matter If you trim all ten off by mistake or if you trim off a couple of secondary feathers inadvertently. Likewise, if you trim the primaries just above the tips of the coverts, this leaves a neater end look, but trimming a bit lower down is no problem either. In uncrowded conditions with access to regularly changed water for swimming, I have found ducks to be less prone to disease and parasites than chickens. Rainy climates. Ducks they stand up to wet weather well, which on the other hand make free range chickens feel quite miserable and chilled. So they are ideal for rainy temperate climates. Provide shade. They can suffer from heat stoke in very hot weather. So if you're in a hotter climate, provide a shady area, ideally around and over the pool, so that the water stays cooler for them. Bumble foot. Indian runner ducks and heavy breeds such as rouen sometimes get swellings on their feet caused by bacteria entering usually where the feet have become sore. This is known as bumble foot. It is hard to clear up even with antibiotics, but keeping affected birds on soft ground with free access to a pond will keep them comfortable. Will miniature Appleyard drakes mate with runner ducks? They will certainly have a good try, and whilst they might have a slightly lower success rate due to their relative size, you can expect fertile eggs from that pairing. What Is a Domestic Duck? As you know duck cannot live without water.Beauty needs to be worried. A superb idea for creating a pond to improve splendor and to hold it Pondpro2000 is here to help. Mine were not too keen on going into their house either. Three suggestions - they do like very good ventilation so you could make the back panel mostly strong wire mesh, then when you herd them into the house they won't feel as though they're going to be boxed in. Alternatively two pieces of board situated like a funnel on either side of the house door should make it easier to herd them in. Thirdly - and you could use this in combination with 1 or 2 offer them a small high value treat in the house just before you shut them in. Then they should come to anticipate being shut in with something extra tasty. My ducks loved mealworms which can be purchased quite cheaply and kept at home in a box for this purpose. You could probably condition them to follow the box of mealworms in to the house, because they will quickly associate the box with their treat! Good luck and do let me know how you get on. We have two ducks, and love them. They are great pets and so fun to watch and interact with. But they won't go into the house we built for them! It's a 2x4ft plywood house which should be plenty of space. Any ideas what we can do? Thank you Marcy - I think you would enjoy ducks - they really are very endearing and the eggs are a bonus. Thank you for such a generous comment Rachel, I'm really pleased you approve given your experience with livestock. Awwww - I want to get some ducks now! They're just plain fun to watch, and I hadn't thought about getting eggs from them until I read this. Now I have an excuse to get a few someday! Thank you Eddy - it's especially nice to have a visitor from Wales, I have some Welsh family. Another gem ;great work here. Thanks Debs, I like duck eggs for use in baking, but not so keen on them for omelettes. Unfortunately one of my ducks was intentionally killed by a person who came into my garden whilst I was at work and I was too devastated about that to keep ducks anymore. What great info. It's nice to know that you have a few ducks. I remember having a few as a kid. My father used to eat the eggs, but I would not. Thanks you for visiting and commenting Joyce - I shall go and look at your duck poem. I think they make such endearing pets. I've had a white duck and she actually lay eggs much to my surprise. She got to know the sound of our truck . When my husband pulled up she would go running to the gate to meet him. I wrote a short story/poem all about her that's on my site. Voted up and interesting, Joyce.